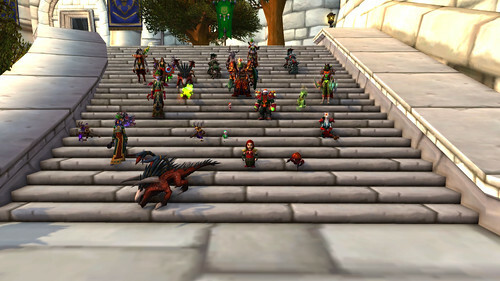 Ten people came to the transmog contest last Friday. The theme was red and green and wow. 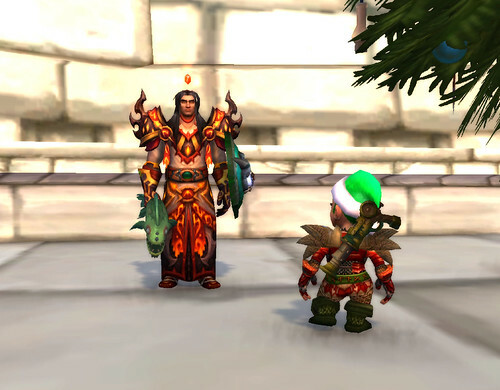 We got an eyeful of brilliant and subtle red and green transmogs. 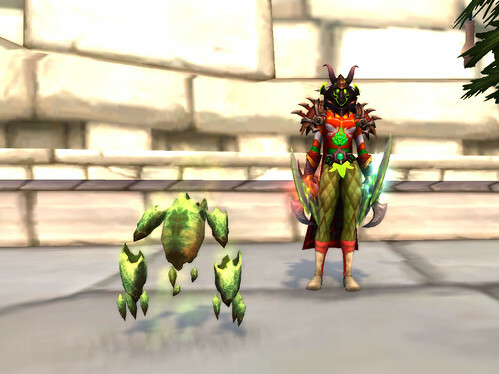 Piickles was the judge by virtue of her win in the November tmog contest. She even dressed in the theme. Here she is inspecting Rewrew's outfit. The winner of the December contest is Rainsong. Second place went to Ffalstaff. Third place went to Kylia. Congratulations to the winners. Now for January's theme. This is another "Anti-Transmog" Event. For this event, you'll need a second set of gear. No transmog will be allowed. What you need to do is craft gear for everything, including weapons. Any expansion EXCEPT Legion and Battle for Azeroth can be used for the gear. Yes, there's a reason. We have a lot of older crafting materials. This is a way to use some of them up. How this works. If you are a crafter, you are welcome to drop gear, including weapons, onto the gear tab in the bank. Another option is to go to the crafting tab on the roster and click on the profession. This brings up all the patterns available for someone to know. You click on the specific item and that will tell you who in the guild knows it. The other option is to utilize this thread. It's found in The Transmog Emporium in the forum and is call Transmog Crafted List. In this thread, if you are looking for something, post the name of the item here. If you can make the item listed, please respond affirmatively and list if you need materials to make said item. If you have mats or are willing to farm them, please let us know. This is a whole guild participation event -- even if you aren't going to make an outfit. We have a lot of patterns in the guild bank. Please take a look and learn what you don't know. Now, a word about some patterns, particularly Burning Crusades era. The issue with BC patterns is that once crafted, they became soulbound to the crafter. This was a huge issue for the community, as we had come from classic where only very high-end gear -- and only in very rare occasions -- had this feature applied to it. We have a huge amount of netherweave cloth stored offsite. I would love for it to be used, but the constraints of creation may limit who you use to craft and wear the gear. A question was raised if you are constrained to the gear you usually wear. Because you need to wear your gear and not tmog it, no. If you can equip it, you can wear it. All gear slots AND your weapon need to be crafted. So, have at it. You are welcome to begin crafting and sticking gear and weapons in the bank. 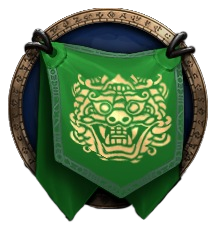 Remember, nothing from Legion or Battle for Azeroth can be worn. When you have your gear, send your list to Rainsong. I would advise you NOT to wait until January 27th, particularly if you want something unusual. Some items, such as truegold, still have a cooldown and can only be made once per day. We do not have a stash of truegold, either, so if the item needs this, you need to post now. Let's see what you can create. If you have questions, just ask.